Amongst a flood of small bars opening up on the Adelaide scene, The Bibliotheca Bar & Book Exchange is trying to do things a little differently. Rather than attempting to impress crowds hungry for drinks served in jam jars and the craziest cocktail menu in the CBD, Bibliotheca strips drinking back to its roots with a large menu heavy with quality spirits from all corners of the globe. Roman Tazhdynov, creator and founder of Bibliotheca, moved to Australia recently from Moscow, and knows exactly how spirits should be enjoyed. 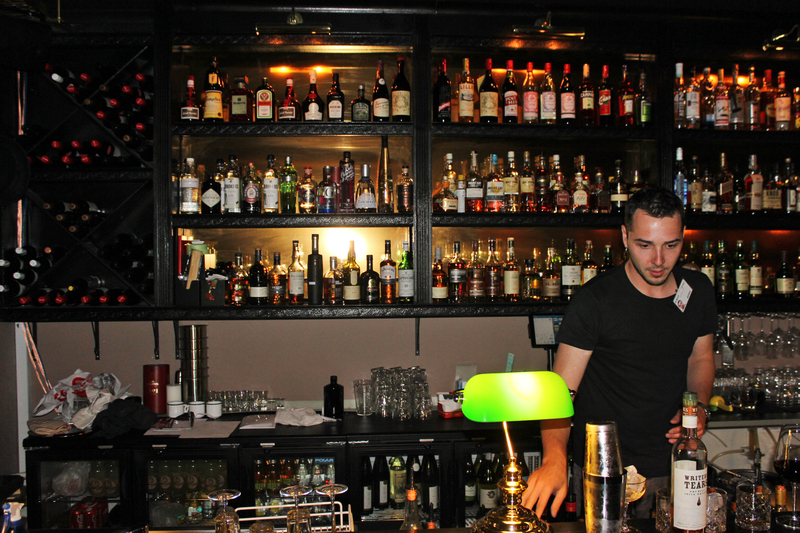 He’s been to a number of exclusive bars around Europe, including the incredible speakeasy Door 74 in Amsterdam. The concept behind Bibliotheca was to follow the classic traditions of these European bars, offering a range of top-quality spirits and creating simple drinks done insanely well. 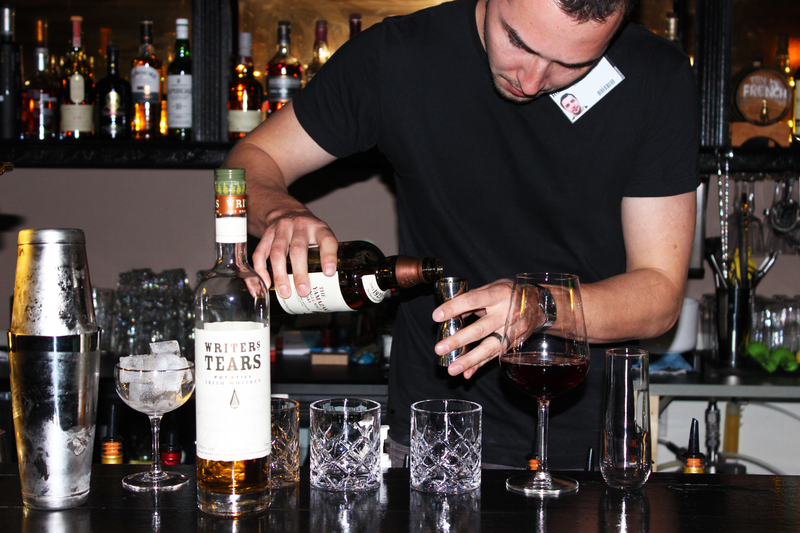 After picking your spirit of choice, the bartender will create your drink for you in whatever way you prefer, be it neat, on the rocks or presented with one of their top-shelf mixers. As well as presenting an impressive array of global spirits, Bibliotheca also offers some classic cocktails and wines. To accompany the extensive drink menu, there is a small selection of bar foods available, including open-grilled sandwiches with fillings like rare beef and salt-cured salmon which we’ve vowed to go back and try. The other foodie option is antipasto platters, and with us here at the Adelaidian being massive platter fans, we decided to order both. 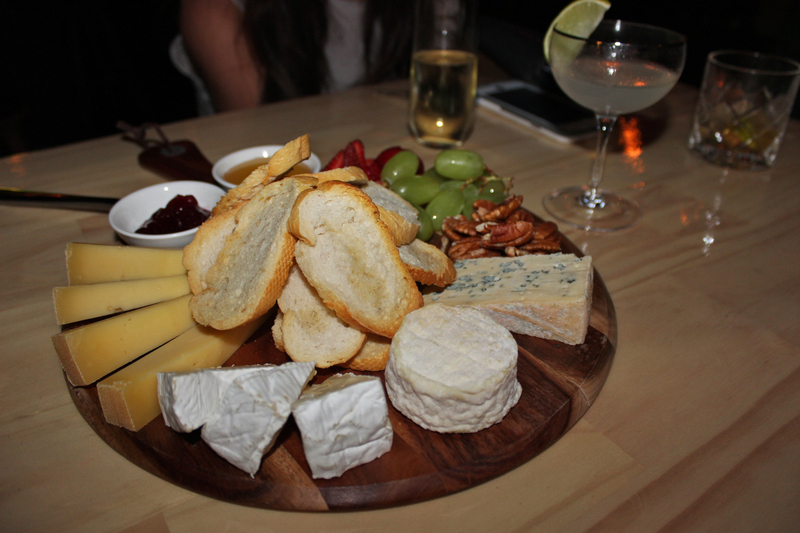 The first option was a cheese board, with a perfect selection of softs, hards and blues, and terrific accompaniments like honey and grapes. The second was a meats platter, with delectably light proscuitto, salamis and rare beef. The experience wouldn’t be complete without sampling one of the platters here with your friends, the small goods perfectly accompany the flavours of the drinks. As well as being a bar, Bibliotheca also offers a book exchange. Simply bring in an old book and swap it for a new one off the rustic wooden shelves lining the walls. 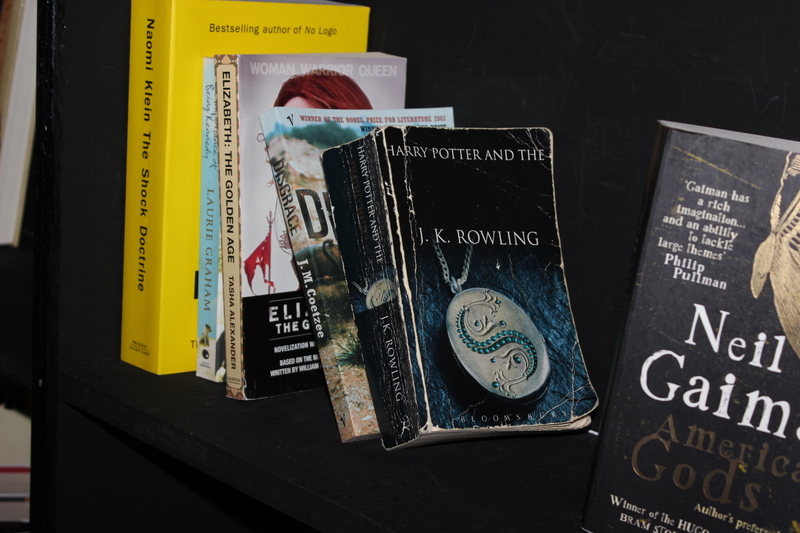 Among the rows available, we spotted classics like Harry Potter and Memoirs of a Geisha, as well as numerous other novels to cater for any taste. The Bibliotheca Bar & Book Exchange is open Tuesday-Saturday 5pm-2am. Located just off Hindley St at 27 Gresham St.